There’s nothing like waking up in the morning and looking outside your window to see a white sheet of fresh snow covering your yard. The magical moment soon ends when you realize you need to venture outside in the cold, icy winter air and start your day by lugging a snow shovel or snow blower and a huge bag of salt to clear your driveway. Fortunately, Bomanite has the perfect solution. Consider investing in a heated driveway for convenience and safety while adding value to your home. The way in which a heated driveway works is quite simple. Essentially, the combination of hot water and antifreeze work together to radiate heat, causing the snow on the surface of your driveway to melt. Bomanite uses the hydronic glycol system which means the fluid circulates through tubing that then creates enough heat beneath the surface to remove the snow or ice above it. The best part, to the heating system is completely covered and protected by your beautifully paved concrete driveway, so there is no clutter! – YOU’RE SAFE – Having a heated driveway is safer because you, your family and visitors do not run the risk of slipping and falling. The snow, slush and ice will be completely evaporated allowing you to walk smoothly to and from your vehicle. – YOUR HEALTH – Snow shoveling can be risky to your health, back and muscles. It can also be deadly as it is one of the leading causes of death by heart attack and aneurysm especially in older people. – YOU SAVE – No more dreading the cold nights or early mornings shoveling, wrestling the snow blower out of the garage and trying to get it started. Instead, wake up relaxed and energized ready to head-out for the day with plenty of time to spare. – LONG LASTING – You are doing your concrete driveway a favor by installing heated wiring, since you avoid using harmful chemicals to melt the snow. Salt products meant to de-ice your driveway can actually damage and ruin the concrete faster. 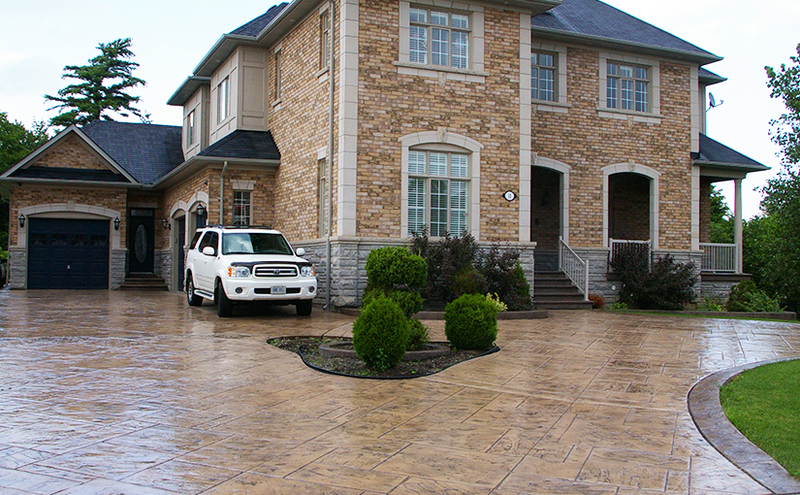 – CURB APPEAL – Show off your stunning driveway, courtesy of Bomanite, all year around. Your home’s front entrance will appear safe and welcoming even throughout the winter months due to the effectiveness of having a heated driveway. 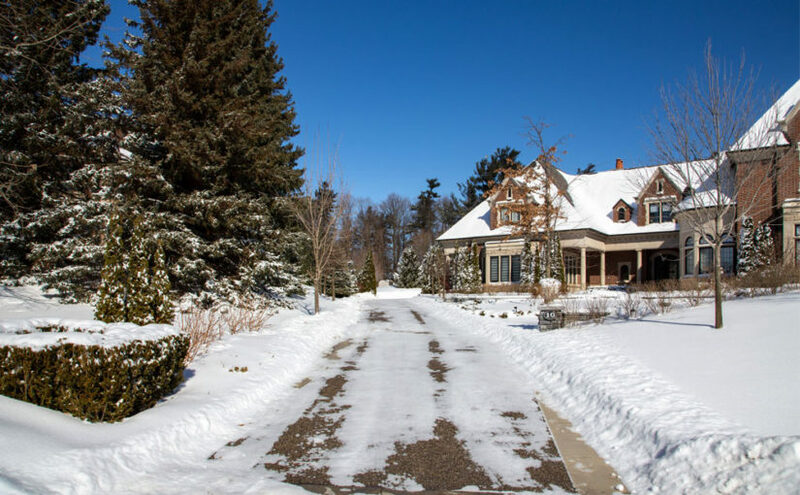 The GTA is constantly dealing with harsh weather conditions in the winter, which is why it is a good idea to contact a professional like Bomanite to install a heated driveway system that automatically melts snow. For more information on heated driveway, visit our website at https://bomanite.ca/residential/heated-driveways/. Why Should You Invest in a Heated Concrete Driveway? Some of the benefits of a heated driveway may seem obvious, but people are still hesitant on installing one for their home. Homeowners either think it’s too expensive or just not worth it. What they don’t realize is, with a heated driveway rather than heated drivewayregular concrete, you are paying for comfortability and ease of living, which can go a long way and save money in other departments. The main purpose of a heated driveway is to keep your pavement warm in order to melt snow that falls upon its surface. Therefore, snow will not pile up on your driveway during those intense winter storms. You may argue that it does not take a lot of effort to just pick up a shovel and manually rid yourself of the mess. However, the benefits of a heated driveway for your home are undeniable. Not only will you have an easy way to keep your pavement clear of snow, the heated driveway will also stop ice accumulation providing a safe route to exit your home. Another benefit you may not have thought of is the decreased need to use salt or chemicals, which will protect the driveway from becoming damaged. Remember that you have options to decrease hassles in your life. Heated driveways can bring down long term costs and also leave you with extra time and comfort. If you live in Toronto or the surrounding area, call us today for a free quote! Visit heated drivewayhttp://bomanite.ca/services/residential/heated-driveways/ for more information. Posted on June 24, 2016 June 24, 2016 Author adminCategories Concrete Driveways, Stamped ConcreteLeave a comment on Why Should You Invest in a Heated Concrete Driveway? There are a number of websites out there that present consumer reviews of companies like ours who provide stamped concrete, architectural concrete and concrete driveway solutions. As a proud service provider with a strong reputation on these sites, Bomanite wants to provide a few words of advice in regards to selecting the right company, in our industry or in others as well. The following advice also pertains to product and restaurant reviews. So please keep the following 4 aspects in mind when reading online reviews. If a company has a perfect rating, or something too close to perfect that you have to look twice, that could be a warning sign that something is amiss. As much as companies strive for perfection, it’s almost impossible to be perfect. If a company has nothing but perfect reviews, look at the reviewers’ profiles. If they have never posted a rating/review before, or they ONLY post perfect ratings for multiple companies, chances are they’re either not valid, or their review was encouraged and not naturally given. If a company’s reviews all seem the same, there’s a chance they are written by the same person. In our world, people come from a multitude of different backgrounds. As such, their understanding of English varies, as does their vocabulary. Realistic reviews will have different descriptive words, the odd spelling mistake, different tones and different lengths. Some may describe every detail with Shakespearean prose, while others may write three words in total. This variance is an indication of authentic reviews. If a number of reviews refer to the same themes or specific topics, especially in a row, that can seem suspicious. Some companies are limited in how much can be said about them, but if the content of the reviews are all too similar, take them with a grain of salt. Some companies are seasonal, so it doesn’t make a lot of sense that they have reviews during their off-season, as most reviews are given almost immediately after the job is complete. Additionally, if the reviews are timed evenly apart, as in almost exactly in a pattern, that could be another flag. Real people post reviews whenever they get a chance. Sometimes three will be posted within a week, sometimes there will be 2-3 months between reviews. Watch for patterns. The purpose of this blog entry isn’t to make you skeptical of online reviews – they can be very helpful in selecting a company or product you can trust. We just want to help you make a more educated decision when you select the concrete service provider to entrust with your driveway, landscaping or backyard.